BleachBit is a renowned freeware app that is used as privacy manager, disk space cleaner and computer performance optimizer. It is a widely popular tool and runs on Microsoft Windows and different flavors of Linux operating systems. It was released in 2008 and have been receiving continuous bug fixes and new features from development team all the way. It performs its tasks by shredding and wiping out unnecessary data like browser history, cookies, cache files etc. It is commonly used application to free up disk space on Linux and Windows OS and also optimizes system performance by consolidating the un-allocated space on the hard disk. 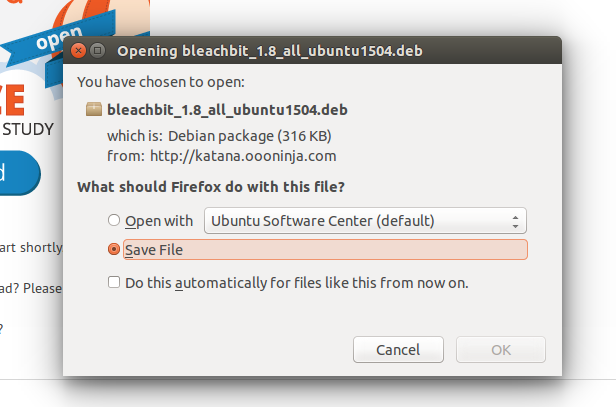 The most recent version of this app, BleachBit 1.8 has been released on June 19, we will be reviewing its prominent features and installation process on Ubuntu Linux today. “Confirm before delete” option has been optimized. Support for cleaning Opera passwords is an additional feature in this release. Improvements have been made to “Shred Settings and Quit” option. New feature “”–debug-log”” lets user save debug information to specified file for later review. FSArchiver disk cloning utility has been white-listed for Linux users. Important addition for Linux users is the Suppress GTK+ warning in console. In order to install beachbit 1.8 on your Ubuntu 15.04, download it from following URL. That’s all, Simply launch it from Applications >> bleachbit and start using it to clean up your sytem. Note: If you are using any other Linux distribution, i.e. Centos, Debian, Fedora etc, please download installer according to your operating system from here. 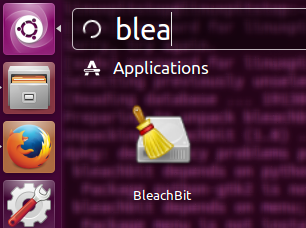 Bleachit is a useful application, its lightweight and hardly consumes any resources on the system. Its vital to have such apps installed on your system so you may keep it clean, and healthy for optimum performance.